Florida’s first Iranian-American State Representative earned more than 70 endorsements and has raised more than $500,000. 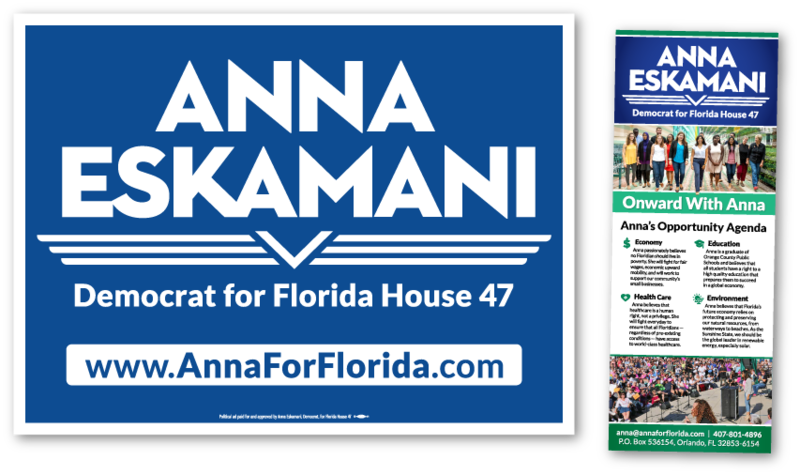 We created Anna’s iconic logo, artwork, and website. Thank you for signing up. Check your email for a verification link.